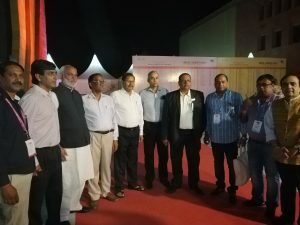 The 36th Edition of India Carpet Expo, Organized by Carpet Export Promotion Council at Trade facilitation Center and Craft Museum, Deen Dayal Hastkala Sankul, Bada Lalpur, Chandmari, Airhe, Varanasi – 221003 (Uttar Pradesh) was inaugurated on 21stOctober, 2018 by Shri Narandra Modi, Hon’ble Prime Minister through Video Conferencing at 6.30 p.m. Amphitheatre near Museum, Trade Facilitation Center and Craft Museum, Bada Lalpur, Varanasi has received overwhelming response from around 350 overseas buyersfrom across the globe in the three days of the Expo. 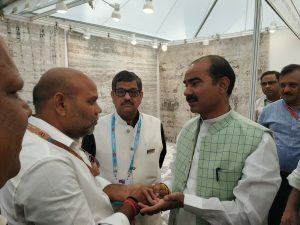 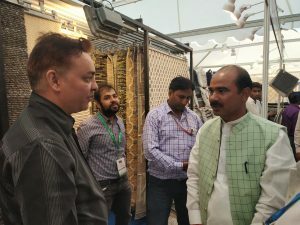 Shri Ajay Tamta, Hon’ble Minister of State for Textiles, Government of India also visited the India Carpet Expo on the third day of the expo and met the participating exhibitors and overseas buyers and appreciated the new designs and products innovated for the Expo by the Indian Carpet Manufacturers. 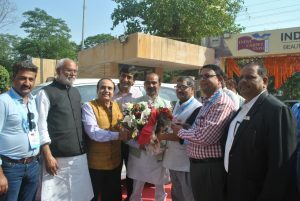 Shri Ajay Tamta, Hon’ble Minister of State for Textiles also appreciated the efforts made by Carpet Export Promotion Council in providing such a great infrastructure to the manufacturers from Varanasi-Bhadohi-Mirzapur belt for promoting Indian Carpets and helping the 20 lakh artisans and weavers especially women from weaker section of the society in the Trade Facilitation Centre and Crafts Museum at Bada Lalpur, Varanasi. 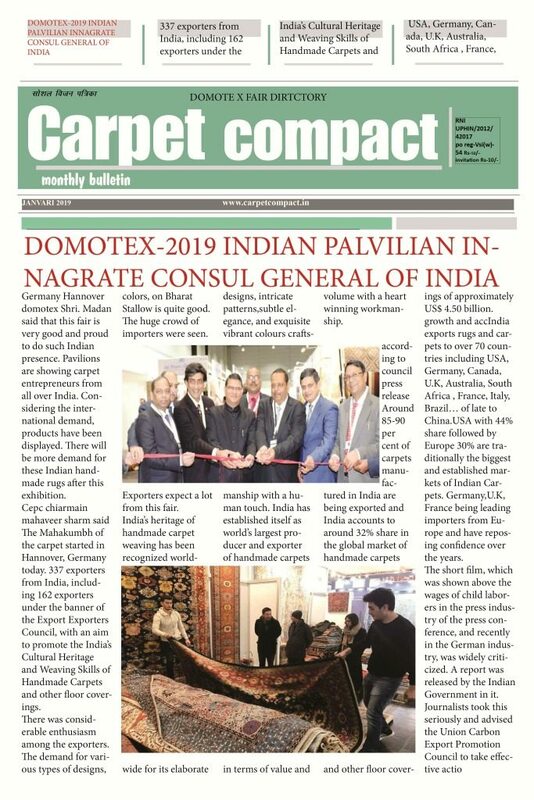 Some of the leading and reputed buyers from US, U.K., Brazil South Africa, & other European Countries who visited the fair are very much impressed with the display of various Handmade Carpets and other floor coverings. 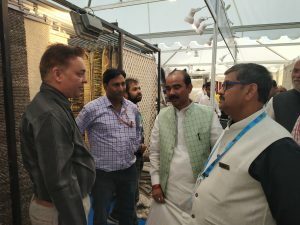 The Expo is organized under the aegis of Govt. 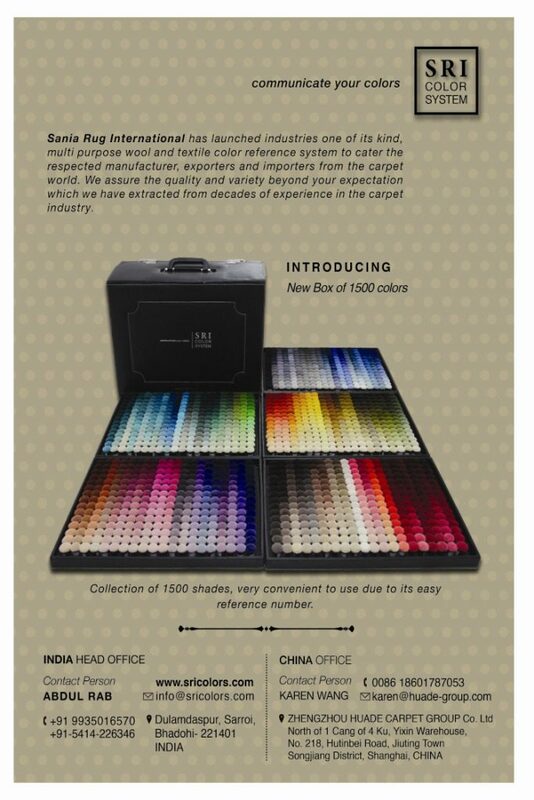 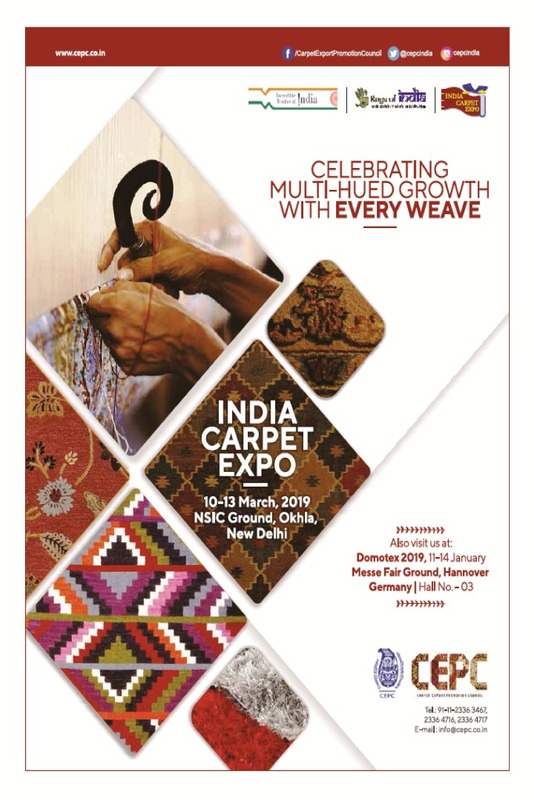 of India focuses on the Highly Labour Intensive Indian Handmade Carpet Industry and aims to generate handsome business for the industry. 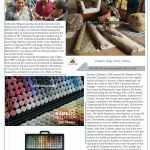 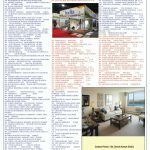 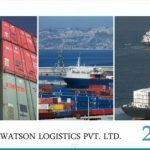 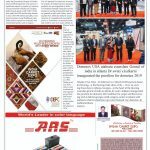 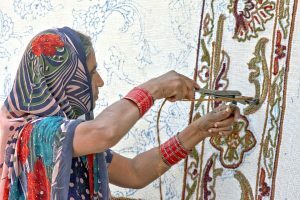 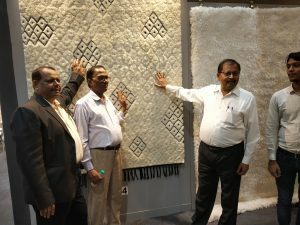 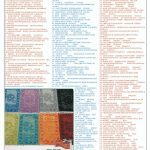 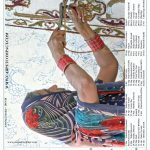 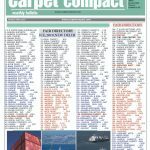 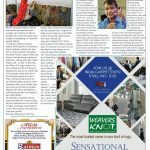 With the participation of over 270 exhibitors, India Carpet Expo is one of the largest Handmade Carpet Fairs in Asia with a unique platform for the buyers to source the best handmade carpets, Rugs and other floor coverings under one roof. 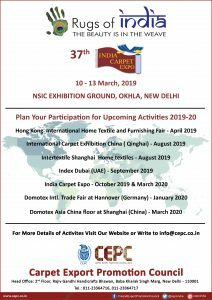 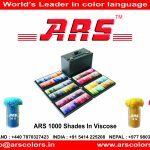 Organizers are extremely happy with the results till today and hope that tomorrow which is the last day of the Expo more and more buyer will come and make this Expo a very successful one.